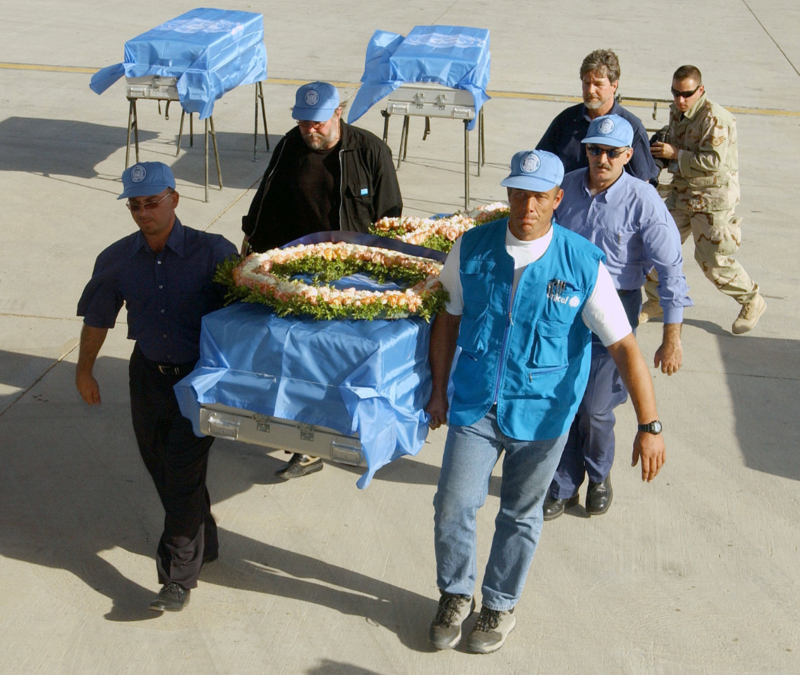 Since the war in Syria began, aid delivery has been politicized. The anti-regime camp rejected the very notion of delivering aid through government held areas. Western countries who backed the insurgency and supported regime change pushed for most aid to be delivered “cross border,” from Turkey or Jordan. Diplomats and aid workers based in Turkey or Jordan often went native and viewed aid agencies based in Damascus as the enemy. Even the UN faced divisions and rivalries. 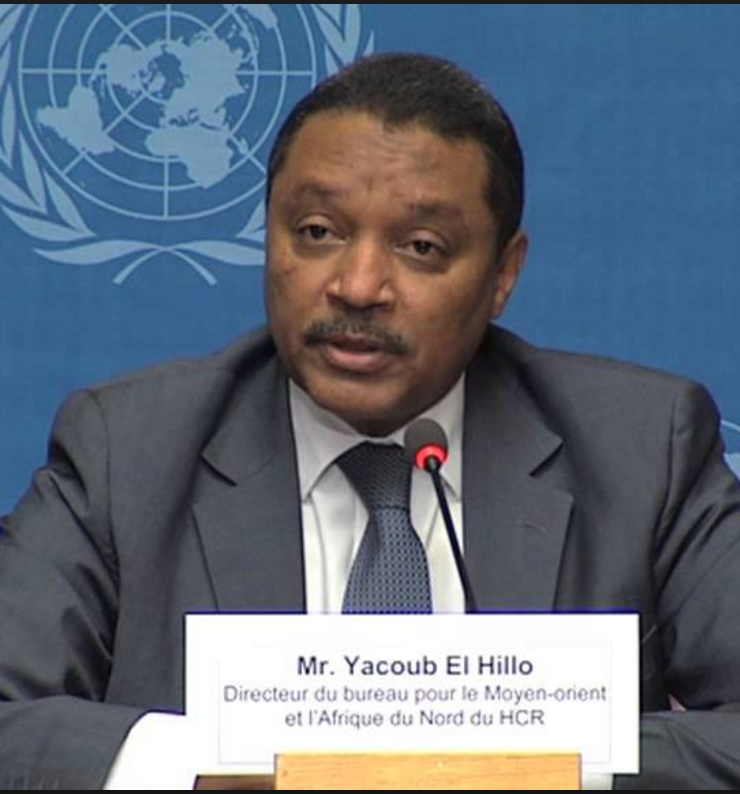 At the center of this was Yacoub El Hillo, the United Nations Resident Coordinator, Humanitarian Coordinator and UNDP Resident Representative in Syria since August 2013. El Hillo’s very existence was an affront to those who prioritized regime change above all else and because he was based in Damascus and accredited by the Syrian government he was required to acknowledge the Syrian government as it continued to represent the sovereignty of Syria at the United Nations. This cooperation with Syrian state institutions was anathema to those who hoped El Hillo could be some kind of humanitarian dictator, operating as if there was no Syrian state. But since most Syrians still live in government held parts of Syria and there is still a government with institutions and security forces, the UN must work especially with institutions that provide services to people such as health, education, water, electricity and vaccination. Based in Damascus El Hillo, with his committed team, tried to reach as many people as he could including in all the besieged locations (and he succeeded this year to deliver aid in all 18 of them). El Hillo publicly advocated against sieges and denial of access and was engaged in near daily struggles with government officials to obtain access. El Hillo and his colleagues physically entered besieged areas, sometimes under fire — Homs in February 2014, and most recently Zamalka and Arbin on June 29 (in which a driver was shot in the chest). The UN in Syria reaches one million people in opposition areas by crossing the border every month and they work everywhere in Syria either directly or through partners both national and international, while roughly 70% of people in need in Syria are reached from inside (Damascus but also the UN Hubs in Homs, Aleppo, Tartous and Qamishli). In mid June an advocacy group called The Syria Campaign accused the UN of collaborating with and supporting the government’s policies. When it was announced in late June that El Hillo had been appointed to a new job in Liberia the Syria Campaign was quick to take credit. This is false however. El Hillo applied for the position in Liberia in early April, over two months before the Syria Campaign report came out and he was approved for the position of Deputy Special Representative of the UN Secretary General with the United Nations Mission in Liberia ON 13 JUNE, before the report came out. It is laughable to think that the UN can ever respond so quickly to anything, let alone a report by an advocacy group criticizing the necessary compromises THE UN must make when dealing with a sovereign government. Yacoub El Hillo’s new position in Liberia is not punitive and it is in fact a promotion- and it was overdue. When he first came to Syria in early August 2013 he had committed to serve for two years. He chose to extend for a third which concludes in early August 2016. In the the post-2003 Canal Hotel bombing culture of the UN, which was so traumatized by the al Qaeda attack on its staff in Iraq that in much of the Middle East it simply cowered in Green Zones and hid from the population, El Hillo pioneered a courageous return to UN principles, boldly leading missions into war zones under fire, challenging all actors from Jabhat al Nusra to the Syrian security forces, thus restoring the UN’s reputation. The allegations made by the Syria Campaign and others were written by people who know nothing about the UN and how it must work. In 2015 cross-line deliveries were very restricted but the UN was also working cross-border. Beginning in 2015 the UN implemented its Whole of Syria Approach which means there is a coordinated effort. In 2016 the UN has reached almost one million people in need in besieged and hard to reach areas. One can reasonably disagree about the difficult and imperfect choices the UN made when dealing with the Syrian government but those who criticize the UN country team based inside Syria offer no better alternatives. What would they have the UN team in Syria do? Should they withdraw in protest and serve nobody? The decision to withdraw from the country is made by the Secretary General. Or would they have the UN drive through checkpoints that have turned them away? The UN cannot move around without the approval of parties to the conflict in any country. The UN must notify parties in Syria, and if they say no and they have tanks and weapons what does it do? And the UN needs operational capacity, it cannot scream and yell and then lose access, it has to be able to move around and deliver and save lives. If UNICEF gets thrown out of Syria who does it help? The UN in Syria is not the problem. If one has a criticism to make it should be made by taking it to the Security Council and to the various countries involved in the conflict, not be falsely trying to defame a UN official who is concluding a mission after three exhausting years in Syria. Thank you Cyrus! very important contribution indeed and an important perspective. What the world doesn’t see are the daily difficult conversations with all Syrian parties, the tedious negotiations and the toil to get these convoys in. Armchair diplomacy is luxurious and to those who play God – and think we can walk away from the plight of starving children because others are being killed – I remind that you walk on dangerous and dubious moral ground. Let me remind that for the starving children of Madaya and Zabadani, just two example,their only source of help have been the humanitarian aid convoys by the UN/ICRC/SARC. US was lucky to have great leaders Ike president Jefferson, while Syria was inflicted by evil ,corrupt dictator,criminal , and serving the interest of Iran and Russia. Terror hits Saudi Arabia after Turkey, you can pretend that a scorpion is your pet but it will eventually stings you. There is plenty of evidence that Islamists can not be trusted, they serve as temporary allies and hit men but sooner or later they bite the hands that feed them. People do have the right to change their government but that is not what the Rebels are doing, so for the thawrajiyyeh and Nusra cheer leaders out there: do not kid yourself and insult our intelligence. “Some Syrian opposition groups have adopted methods of abuse similar to those employed by the government of President Bashar al-Assad, Amnesty International has said that document a “chilling” wave of torture, abductions and summary killings in insurgent-controlled areas. The report is based on interviews with some 70 individuals living or working in the northern provinces of Idlib and parts of Aleppo, areas controlled by insurgents. The abuses were committed over four years by five armed groups, including some backed by the US and other regional powers, and al-Qaida’s branch in Syria, Amnesty said. “While some civilians in areas controlled by armed opposition groups may at first have welcomed an escape from brutal Syrian government rule, hopes that these armed groups would respect rights have faded as they have increasingly taken the law into their own hands and committed serious abuses,” said Philip Luther, director of Amnesty’s Middle East program”. Has anyone go a handle on the refugee count from before the “Civil War” started and the present situation today? As to the recent reelection of al-Assad as President of a very large %, what is that viewpoint, or is that a sham in the eyes of hose who started and continue to engage in the destruction of Syria, for what ever reason? Not in the Middle East last I heard. I support any organization fighting for this “right”. Notice how the rhetoric between Ankara and Damascus has changed lately. With Kurds moving forward and the West giving the finger to Erdogan, the guy had no choice but to play nice with Israel, Russia and may be Syria. All of the sweet talk about regime change, freedom and fatherly compassion may evaporate under pressure. Congratulations !! USUSUSUSUSUS People chanting like primates in the 4th of July. United States is a place where people live without having a single idea of what crimes they are committing abroad and which regimes they are sponsoring. US is not better than Iran, Russia or Assad, regimes supported by Obama. Obama left arab revolutions being crushed by worst dictatorships. Obama has left a Middle East much worse and less democratic that it was in 2008 after Bush infamous reign. If less democracy in the Middle East bothers you, what do you think arabs like you can do about it? At least GWB tried. US government; you’ve made our country the “Assassination Nation” in the eyes of the world!! Congratulations on aligning with such an heroic, human-rights and democracy-centric group of guys!! Apparently, for the current US Administration, “the ends (regime-change in Syria) justifies the means”, even when those means include the torture and assassinations of children. MAJEDKHALDOUN, I have always admired your vision of a liberal Syria. I hope Syrians achieve it. I understand the cynicism of others because the forces arrayed against the liberals were so strong and many that they seemed sure to fail. It is hard to see a way out of this trap today in most parts of the region. May be with Thomas Jefferson, should treat a tumor of modern America? Who occupied the drivers’ seats of power in your country now seem to run with the stock traders now. They want action and instability, so they can take advantage of the chaos, while knowing in advance what is planned and why. The corporate takeover craze of past years seems to have been replaced with the country takeover craze; a perverted one, where winners and losers are not determined from their profits and losses, but also by how many lives are destroyed, cultures trampled, and even ancient world heritage sites blown up. The US has been crashing into one regime change disaster after another and gets by simply by claiming the failure to be a victory. Let us be sincere, the regime change has to been overcome by quitting it cold turkey. Anyone in rehabilitation will tell you they are only one drink or needle away from becoming addicted again. Please tell the participants here which Arab or Muslim country you live. I’m sure you would never even think about living in the West. Living in the western corporatocracy? where The little coterie of powerful international bankers virtually run the United States government for their own selfish purposes. They practically control both parties . . . [and] control the majority of the newspapers and magazines in this country. They use the columns of these papers to club into submission or drive out of office public officials who refuse to do the bidding of the powerful corrupt cliques which compose the invisible government. It operates under cover of a self-created screen [and] seizes an executive officers, legislative bodies, schools, courts, newspapers and every agency created for the public protection. The 2003 Iraq invasion and occupation left at least 500,000 dead, scattered refugees to the wind and threw the region into chaos. Yet as Sir John Chilcot delivers his long-delayed Iraq Inquiry report, the silence of Iraqis themselves is deafening. After all, Oh western drummers here! Should not you feel ashamed to practice hypocrisy here? You didn’t mention which lovely arab/muslim country you reside. Why not? Seems like arabs and muslims around the world are literally DYING to leave the Middle East. Why would they do that? Why are africans risking their lives to live in Israehell? Are you going to answer these simple questions or are you going to ignore them and just go on another anti-semitic rant. Oooo Soros and Rothschild! Oh my, joos are taking over the world! Do you have a list of non-jewish billionaires? Believe me, they far supersede those that are jooish. And BTW, since when should joos even be allowed to be billionaires like all the billionaire gentiles and the arab sheiks from Saudi Arabia and the Gulf states? How many billions has Assad made off the backs of his ruined Baathist Utopia? Iraq Body Count shows your off by a factor of 2: a quarter million from 2003 to 2013. More people have been killed in Syria. Of course, the VAST majority of these deaths are Muslim-on-muslim violence. And this number, for some reason, DOES NOT include the 300,000 killed by Saddam Hussein before 2003. Apparently, IBC doesn’t like to put our beloved Arab despots in a bad light, just like you! You are a person live in a Zionism knots. Time you try to dodgy in personalization, and again in Islam. And at another time wandering in the term anti-Semitism. Look for yourself opponents, with whom you find yourself as a lecturer. … I am definitely not suitable for discussion with you. I advise you to train yourself on carrying comments, which will not be a shorten on anything and anyone. dignity? human rights? Democracy? Happy 4th of July. Barely a day after the fatal police shooting of unarmed Alton Sterling in Louisiana, it has been confirmed that police have shot dead Philando Castile, another African-American, this time in Minnesota. A horrific video shot by his girlfriend details the aftermath. OMG, another innocent man is killed in Amerika resisting arrest! Ahlan, you should take a collection or at least call for a moment of silence! Ahlan, where should we send our checks for you? Canada? Abu Dhabi? Fallujah? Cairo? Aleppo? 300 dead in Baghdad yesterday. No police were involved. “Currently nobody can get in or out of Aleppo,” Zakaria Malahifji of the Aleppo-based rebel group Fastaqim told Reuters. He said government-allied forces were being aided by Iranian fighters and that reinforcements on the government side had arrived from further south. A U.S. intelligence official, speaking on condition of anonymity, said Syrian and Russian forces appeared to be pressing their offensive to encircle some 250,000 people inside areas of rebel-held northern Aleppo despite the announced 72-hour nationwide ceasefire and an all-but collapsed cessation of hostilities declared by the United States and Russia in February. The Sunni “rebels” sided with Al-Qaeda in Syria/Nusra and Al-Qaeda in Iraq/ISIS. As did Turkey and especially the Gulf States. Didn’t work. Got a lot of people killed. The Israeli agents who comprise the Neoconservatives, a collection of war criminals that control US foreign policy, have already handed you your death certificate. The neoconservatives have far more power than they have intelligence or humanity. XXI is no longer the American century at all, despite the continuing status of the U.S. as the planet’s sole superpower. A recent U.N. report estimates that, in 2015, a record 65 million people were uprooted, mainly in the Greater Middle East. Tens of millions of them crossed borders and became refugees, including staggering numbers of children, many separated from their parents. So perhaps this really is the century of the lost child. The war to overthrow the Syrian government must end now. When Iraq is losing territory to ISIS, the US sends more ground troops. When Iraq recovers territory from ISIS, the US is also sending ground troops. Army Lt. Gen. Sean MacFarland! Do you consider yourself a military ruler of Iraq?